Being surrounded by stacks of rulebooks and reams of character sheets while you play has been part and parcel of the Dungeons & Dragons experience from the very beginning. And while many players have begun using phones and tablets to make their tabletop lives easier, Wizards of the Coast is finally offering their own solution. 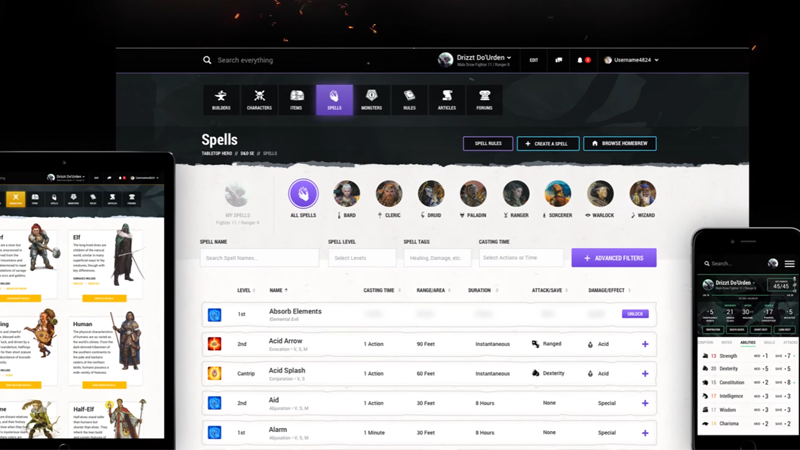 There’s been plenty of virtual tabletop and third party tools like Beyond for quite some time at this point—to the point Wizards has even sold official D&D content through them—so it remains to be seen what Beyond will bring to the table outside of the official branding. And there are questions about just how much it will all cost, too: is there going to be a future where buying the physical copy of a D&D adventure or rulebook comes with codes to access it on Beyond? Or will fans who still want physical editions and the convenience of an app like this have to fork out twice? For now, we have to wait and see. If you’re interested in trying Beyond, you can sign up for a beta ahead of its rollout this summer at the link below.